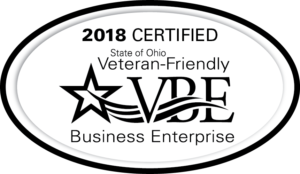 The State of Ohio’s Veteran-Friendly Business Enterprise (VBE) Procurement program provides preference or bonus points to certified companies that compete to contract with the state to supply the goods or services it needs, including eligible construction services. According to the latest Ohio DAS report (report last updated March 9, 2018) Monterey is one of 82 VBEs in Ohio, Indiana, Georgia, Pennsylvania, Florida, Virginia, and Tennessee. 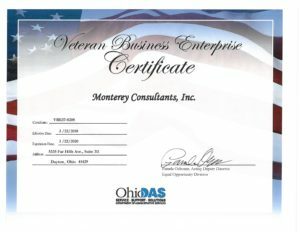 While providing procurement and management services primarily at the Federal level, Monterey now hopes to expand into the state sector.